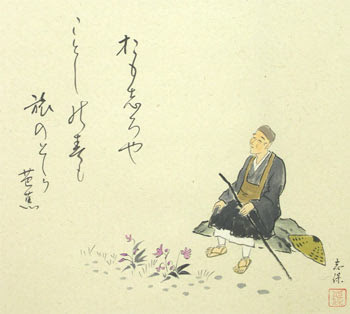 omoshiro ya ... a first line used by Shiki for some haiku. Kyoomibukai きょうみぶかい(興味深い)is more often used for something interesting in an educational context. Once I said to the priest, the spring festival was omoshiroi. He thought I should have used kyoomibukai, since it was not funny but a culturally rich old festival. Thanks to Larry Bole for bringing this topic to discussion ! schön. interessant. amüsant; lustig; spaßig; ulkig; drollig. on the night of 'shigure'! how strange is life ! ..... or ... how exciting ! I must say great thanks to your reference on omoshiro ya and tabi no sora. Those words contain many things that I couldn’t explain here. Your script are very well understood and acceptable.